I recently noticed I’ve not been fully expressing my needs with my partner, I’ve been holding back, giving in, making my needs unimportant, secondary. One of the reasons I even noticed this is happening is because my partner is very clear about and good at expressing his needs and holding his boundaries – for me he’s a good role model in this. I got to talking to him about all this the other night, in bed in the dark where I feel a little less vulnerable. I was really exploring what was going on for me as I was talking, getting really curious about why I was holding back, not asking for, not standing up for things that were important to me. It wasn’t easy even having this conversation, especially as I hadn’t figured it all out yet so had no idea where it was going, where it would end up. The more I talked and he listened the closer I knew I was getting to the truth and as I was getting closer I could feel my whole body tighten up and energetically pull away, the fear was building as the truth began to surface inside of me. And then it popped into my consciousness – I was being ‘low maintenance’ because I believed it was easier for him to love me that way. I feared if I made my needs fully known and stood by them he would pull away, I would be less lovable! In the same moment this truth surfaced I could feel the choice I had to keep it to myself or to speak it out loud. I chose to speak it and it took a good dose of courage to feel the shame I felt about this truth as well as feel the vulnerability of telling him. Would he think me ridiculous, childish, needy? Worst yet, would he stop listening, pull away, change the topic, not take me seriously? He did neither; he expressed his love in such an unconditional way that I found myself in a whole new place of vulnerability – opening my heart even wider to this man and to myself. 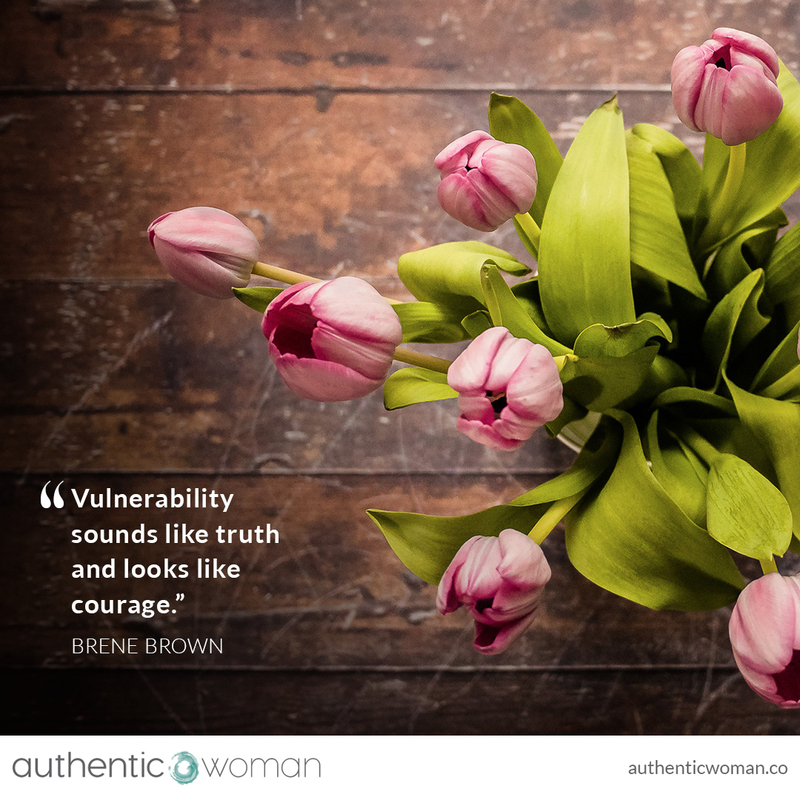 Brene Brown is right, vulnerability does sound like truth and definitely feels like courage. Truth and courage aren’t always comfortable, but they’re never weakness.